Bikers no longer need to gripe about how they’re being left out by the GPS industry. 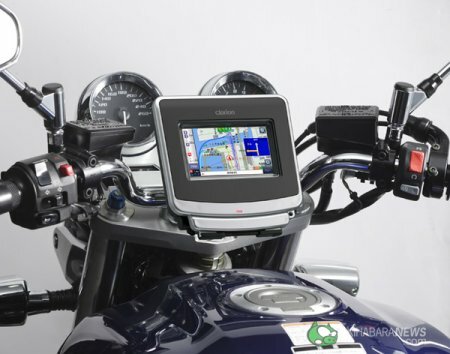 Clarion has delivered the DrivTrax GPS navigation system especially for bikers, where the use of AA batteries offer up to 11 hours of autonomy. Other than keeping you on track in your journey, the DrivTrax GPS also features an integrated speaker that voices out directions so you can keep your eyes on the road. As with other motorbike-centric devices, it is important that the DrivTrax GPS is waterproof, and it does not disappoint in that aspect. It will retail for approximately 125€ when released. This gadget reminds me of tablet pc for cars. I ‘m afraid it can divert a driver from the road 🙂 Anyway I like it!